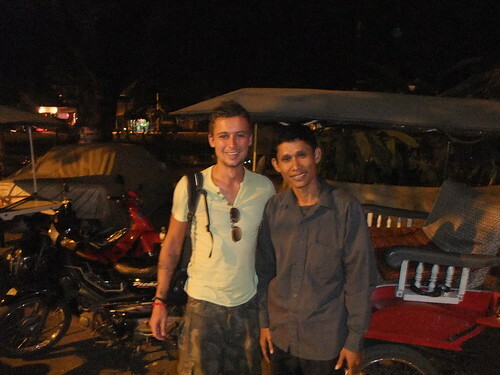 So in my last travel update, we had visited the cultured Laos town Luang Prabang. We left for Cambodia, via a very basic plane, and made our overdue trip to Siem Reap; ultimately to see the amazing Angkor Wat area. Laos is a beautiful place and has much more to offer than even we saw. In the future I would love to retun and visit the “4000 Islands” (an apparently beautiful collection of “islands” on the Mekong River) and some of the more remote places. For now we had a schedule to stick to, in order to make the NYE Full Moon Party on Koh Phangan, so we pressed on to Cambodia. 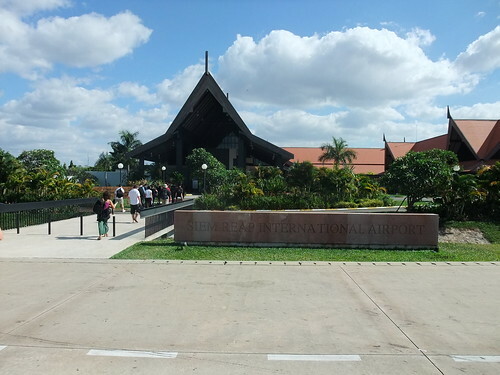 It was shortly after arriving at Phnom Penh International Airport that I realised we were back into a more commercialised area of South East Asia; with tourists come local people looking to make money off the tourists in various creative ways. I don’t think this is is such a bad thing, as long as it isn’t malicious, although when your taxi driver persistently try’s to trick you away from your chosen hotel you know you need to keep your wits about you again. Trusting is a key issue when traveling. It is easy to feel unsafe in a foreign place and being suspicious of everyone is a natural reaction for most. However, this also means you can miss out on some great opportunities. The key is getting the right balance and taking calculated risks. If you lose a bit of money in a scam, does it really matter? For me, a once in a lifetime experience is priceless. With this is mind we took a risk and paid a local Tuk Tuk driver to be our guide for our time there, and it the best thing we could have done. 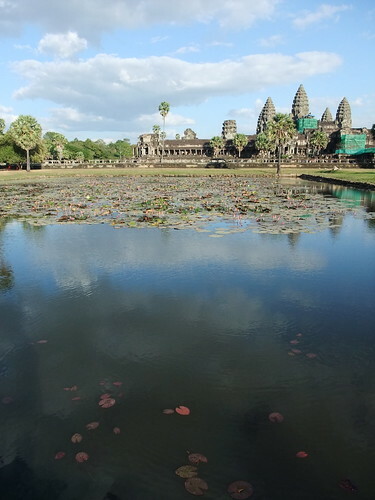 The main attraction for Siem Reap, and Cambodia in general, is a complex of ancient temples known as Angkor Wat. It covers a massive area of 400 sq km and has been the setting for films such as Tomb Raider and Indiana Jones, which makes it a massively popular tourist destination for people all around the world. I had seen many Wats (Temples) around Asia before, but I can genuinely say this was amazing. 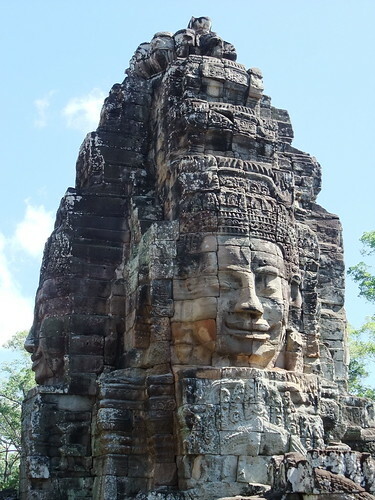 Before I set off traveling I imagined this is what the temples of Asia were like; gigantic faces carved in stone, partially ruined temples covered in vines and trees, monkeys scurrying around and smiling locals selling local crafts. Our guide took us around the best places over three days, and we saw the most famous Wats and areas. This is easily a place you could spend a couple of weeks seeing and learning about the history, but our time was short. Monkeys are a common sight in Asia and they thrive around the Angkor Wat area, with the tourists happily paying a dollar for some bananas to feed them. They are unsurprisingly tame and ever entertaining. One clever little fella took a banana, hid it behind his back and asked for another! 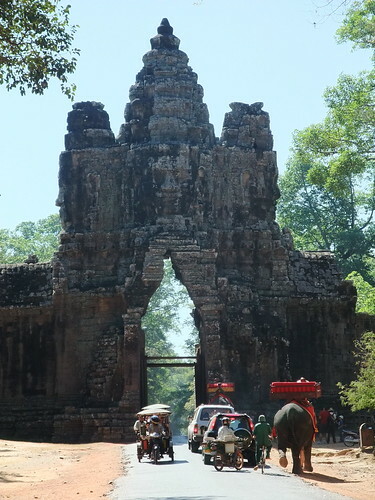 By now it was clear that Cambodia had a very different feel to other countries in South East Asia. This is a place that not long ago (mid to late 1970’s) experienced the mass murder of around 2 million people under Pol Pot and the Khmer Rouge. This is visible in the faces of every Cambodian, young or old, and in every desolate street or building. There was a clearly big divide between rich and poor, and a great contrast in every street. Derelict buildings crumbled next to high class restaurants. Five star restaurants shared the street with beggars and book stalls. This genocide hangover is a dark cloud touching everything in Cambodia, from the numerous street beggars with missing limbs to the crying infants wandering the streets without parents. At times this was an extremely upsetting place and I carried a feeling of guilt with me for being fortunate to have the opportunity in my life. A particularly harrowing moment occurred late at night, after a few drinks in a local club. We left the clubs to find the streets full of small children of about 5 years old carrying screaming new born babies. 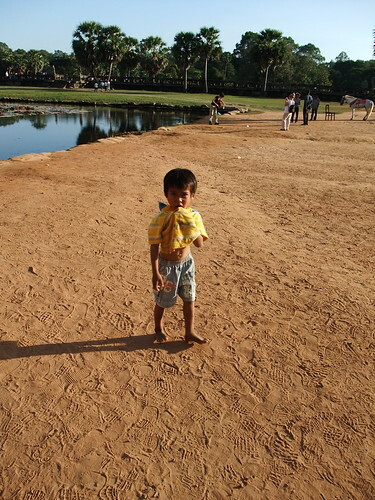 The children tried to put the babies into the arms of the tourists, particularly the women, begging for food. Child: Hi, how are you, would you like to buy a postcard/keyring/book for your girlfriend? Me: Hi, no sorry I don’t have a girlfriend..
Child: Oh sorry, then for your wife? Me: I am not married! Me: Haha, sorry no I don’t have any change..
Child: Ok then you can buy later after you have got some change? Child: What is your name? Child: Hi Carey, you said you would buy later, how many would you like? They will play Noughts and Crosses with you for a free book, but of course they never lose (Craig found this out the hard way!). 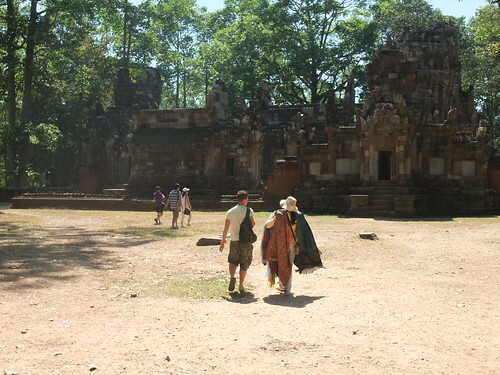 Around Angkor Wat you would literally be mobbed in certain spots by people selling water, books and other souvenirs. Despite all this, and despite the extreme poverty, everything is still done in typical Asian style; with a big smile. It still makes me laugh when I remember.. one day around the temples Craig and I walked towards a group of stalls and, as was typical, a small crowd began to gather. Ahead of us was a tree and as we slowly walked towards them we gently Zig Zagged, so the small crowd moved to each side of the tree waiting for us. They didn’t realise what we were doing until we got close and hid behind the tree, and I can still remember them laughing as they figured out what we were doing. It is simple, but little moments like these are the ones I remember most. Our guide recommended that we visit a local “Floating Village” made up of Vietnamese immigrants. 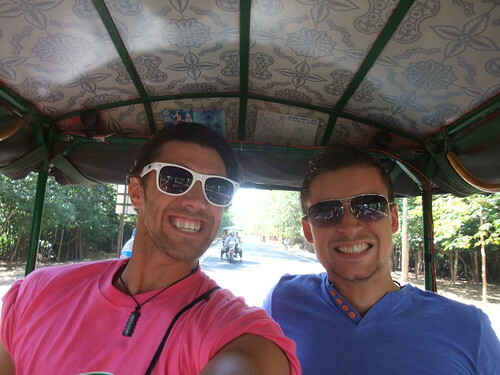 This was a real taste of Cambodian life as we rode out of the tourist area and into literally another world. The streets we drove through were lined with tin shacks, backing onto a river, and peopled stopped to star as we went past. We arrived at a river leading to the the Tonle Sap lake and boarded a small boat that would take us on our tour. About ten minutes after we set off I noticed another small boat with a noisy engine approaching ours. It came right up to the side of us at a good speed and a boy, no older than 4, jumped across carrying a little bag of beer and drinks. If I wasn’t in shock I would have bought something off the little guy, purely for his resourcefulness, but he was gone quicker than he came; probably to avoid our drivers wrath. 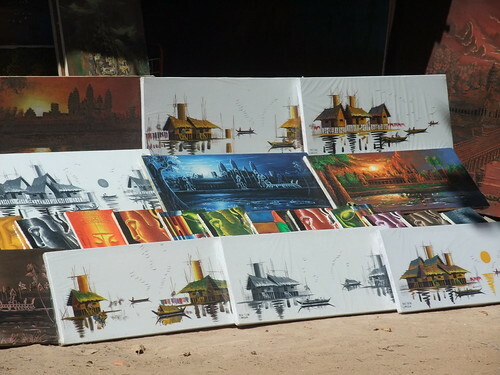 We traveled along the river and I became fascinated with the shacks lining the river bank. People cooking, showering, talking and watching small TVs in little tin houses oblivious to us speeding by. Eventually we arrived at the Lake and after some photo opportunities, traveled a bit further to a docking point at which a few tourists and guides gathered. In here was a gift shop, a sunken enclosure filled with crocodiles and a small square pond filled with hungry fish. We sat with our tour guide and his friends, shared a beer and politely declined a dish of what looked like river prawns. As the light faded we climbed to a raised platform and watched the sun set over the lake. 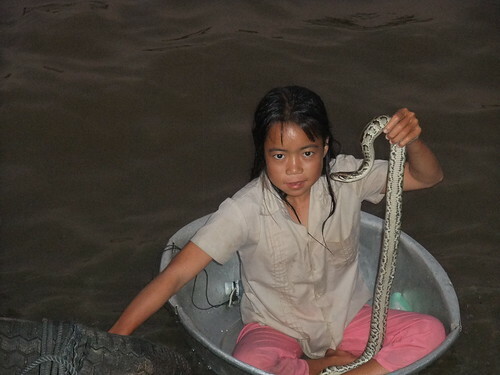 In another example of opportunism a young girl paddled up to the platform in what looked like a large kitchen bowl, carrying a live snake. She asked for a dollar in exchange for posing for a picture. We packed a lot into our Cambodian visit including some much needed sunbathing after the cool of North Laos. 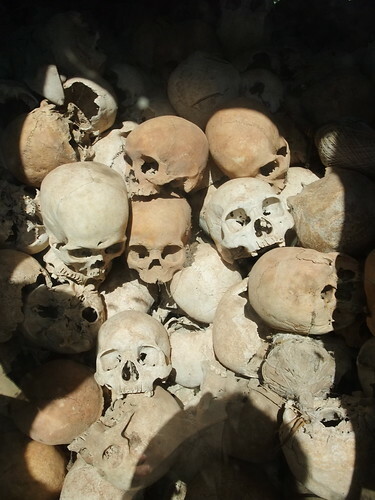 While I would have liked to visit the more famous Killing Fields of Cambodia near Phnom Penh we did see some of the tributes including a tower filled with unidentified human bones from the massacres. We also visited an interesting war museum containing tanks, guns, land mines and more from the violent history of Cambodia. For me it was too soon to leave, but we had a plan to stick to and before we knew it we were on the bus heading for Bangkok. My time in Cambodia made me feel mixed and the experience was bittersweet. It was troubling to see the poverty but uplifting to see the smiling faces. I was inspired by the majestic history but disheartened by the corrupt present. One day I would love to visit again and take more time to understand this troubled country. Until then I have great memories of this mixed up little part of the world. My story continues soon with Christmas in Bangkok and Khao San Road.